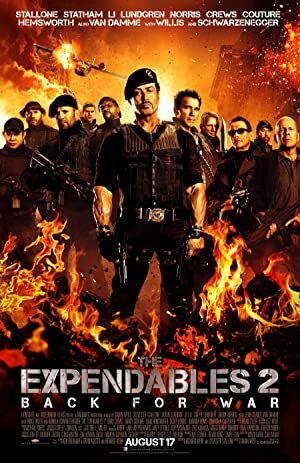 The Expendables 2 (2012) – What's New on Netflix Canada Today! Bodies, egos and careers are bullet-proof when old-school action heroes team up to seek revenge for a murdered pal. Barney Ross is approached by CIA man Church, who wants him and his guns for hire to go to the former Soviet Union to retrieve something that was on a plane that crashed. Church doesn’t tell him what he is getting. And Church sends a woman, Maggie with him to make sure he gets it. They find the plane and get the thing but some men take one of Barney’s people hostage and the leader tells him to give him what they got or he’ll kill his hostage. They give it to him but he kills his hostage anyway. Barney asks Maggie what was so important about that thing. She says that it showed the location of a Russian plutonium storage mine. Barney decides to track the man down and deal with him. They track them down and discover that the man they seek is Vilain who leads a group known as The Sangs and that they have taken all the men from the surrounding villages to work the mine.